Discussion in 'Fan Town' started by An Actual Bird, Feb 28, 2015. My hands are ice cubes, but it was worth it. I was just reminded of this. The first shiny pokemon I ever encountered was Rhydon in Platinum. I recognized Immediately what it was and went to try and weaken it to catch. But I did not know my type resistances as well as I do now. I ice beamed it with Glaceon. and THAT is why I will never forget that rock does not resist ice. My first shiny was a rattata. Common, but I consider it fortuitous anyway because rattata is one of my top two pokemon and I've had one in my team and taken it to the League for every gen.
My first shiny was a zubat in silver. I never had a link cable or anything I could have used to transfer him to the next gen. Poor boy is probably still sitting alone in a box somewhere. My first was a Weedle in either Gold or Crystal. Basically, same hat same problem. But now I have new shiny friends, like my shiny Snorut and Plum the Audino. my first shiny was a graveler in silver. and then a long dearth until i caught 3 during a gen 4 dex completion project. Pokego is the first time I've seen any shinies, because it has... I think a 1/50 rate for select mons for select periods when their appearance rate is high? So it's not too hard to find 2 or 3 in a couple of hours on Community Days, when some Pokemon or other is everywhere. There was a girl who I would occasionally play with during community days during undergrad who I swear to god. Caught EIGHT shiny pokemon one community day. Also, it was not out of character for the rest of the group to catch 3-5 a piece. I found a 69 CP Magikarp with all IVs 0. I have officially won Pokemon Go, and possibly the entire Pokemon franchise. Here. I'm fascinated by how different it is and simultaneously left too stunned by just how weird it is to respond. This looks hilarious but god why the music? 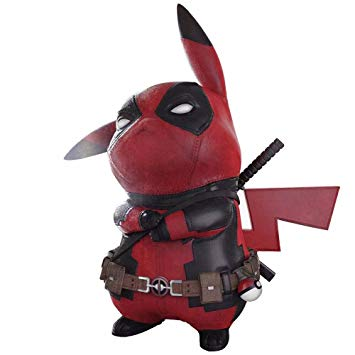 Edit: Also I hadn't looked at the details of Detective Pikachu too much before and I haven't actually played it, but it seems entirely based around the world of that game. So, interesting.